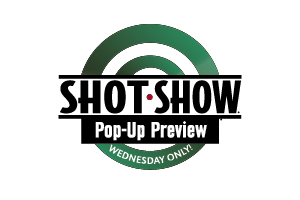 As part of the SHOT Show’s commitment to being the industry resource for locating the best shooting, hunting, and outdoor manufacturers, we’re now showcasing industry businesses who have been patiently standing by on our long wait list to become exhibitors at the show. These businesses are an additional resource to retail buyers and range operators looking to find new sources and new products for their customers. We are a distributor and manufacturer of metal finishing including polishing, deburring, blasting and cleaning systems and products. We have a newly designed cleaning cell for ammo and casings in both OEM and remanufactured divisions. We also carry a wide assortment of blast-cleaning equipment. We are a manufacturer of aluminum gun cases and equipment cases. We are influenced by the cutting-edge tech industries that dominate northern California. Aleon cases embody a timeless aesthetic to ensure style savvy. Our case design has been redefined with square corners to offer more useable space. All cases are manufactured at our company’s high-tech integrated factory to ensure a finished product guaranteed to be of exceptional quality. We offer high-quality shields certified to NIJ standards. Our shields are rugged, lightweight and maneuverable. They are also easy to deploy and made with space-age composites. Our armoring division provides the most lightweight material to defeat a desired threat level. We are a manufacturer of tactical ballistic backpacks and other products. Boscabel is a company that is about to change the firearm accessory market. At our core are characteristics proven to be very successful in a broad range of industries; we have packaged that combined experience into our first product. Manufacture Off-Road vehicle recovery gear for tactical, military, law enforcement, and recreational hunters. Combat Weapon Storage Systems: Manufacturer & global provider of fully modular weapon storage systems to military & law enforcement agencies including Combat Weapon Racks, Combat Weapon Shelving & armory workbenches. selling brands include Daltech Force®, Superbio® gun belts and Bullbelt® gun belts. Deejo is the first unique-alloy nomadic knife boasting superior quality and weightlessness. A fine blade designed to slice the toughest, roughest dishes in delicate precision.Easy to carry, to use, to make your own.Small as a pen, strong as a sword. Display Fixture Warehouse® was formed in 1992 to meet the needs of retailers and contractors all over the world. Whatever your display needs may be, we can help! We provide same- or next-day shipping from Atlanta and Los Angeles. DFW has a unique business model that allows us to serve the specific needs of our customers. We work directly with distributors to offer the most extensive variety of standard and custom display fixtures worldwide. To find a local supplier that offers our line of products, contact our customer care team. Drymax is the number-one technology to keep you warm and comfortable. A two-layer technology that mechanically moves moisture from the skin side to the outside. We offer socks, accessories and apparel. Eagle Crest is the largest supplier of licensed apparel to the military in the world. We offer caps, shirts, jackets, keychains, lanyards, coins, decals, patches and magnets. In addition, we sell to law enforcement, firefighters and outdoorsmen. En-Range is fully licensed and insured and operates in accordance with Environmental Protection Agency (EPA); Department of Environmental Protection (DEP); Occupational Safety and Health Administration (OSHA); and all applicable county, city, state and federal guidelines and regulations. En-Range is one of only a handful of licensed and insured companies in the U.S. that exclusively serve gun ranges including indoor and outdoor, public, police, military and private gun ranges. We are certified lead abatement contractors who remove lead, copper, brass and any other contaminants from ranges. EZFacility was created with a vision to build a great company — one that changes the way shooting ranges are run through cutting-edge technology and that delivers real value to our customers. Providing all-in-one, web-based range management software, our highly effective scheduling, billing, member management and reporting tools (and more) will help streamline operations for all gun ranges — from those with a small but growing member base to large clubs and everything in between — enabling efforts to be focused on attracting new members and increasing profits. We make gun grips using meteorite, mammoth fossil, brain coral and other natural materials. We also supply these materials for grips, knives, accessories and jewelry. We’re hunters, outdoorsmen, adventure seekers and engineers. We apply our training and experience to our passions to design and build quality gear for you to use in your hunts to better your experience. We share your passion and your commitment to excellence in the field. We design, build and sell innovative hunting gear to enhance your hunting experience. All of our products are created by avid hunters who share your passion for the outdoors. Our products are inspired by real hunting situations and designed to bring you more success in the field. We manufacture a full line of Freedom Series 1911 pistols, high-end custom guns and components. Fusion is an OEM manufacturer of slides, frames and barrels with over 1,200 parts for 1911 pistols. Fusion is the American distributor for all LPA sights. Gripknife is a revolutionary foregrip with one major difference — it instantly converts into a modernized combat knife in the blink of an eye with the push of a single button. We produce high-quality tactical backpacks, duffels and apparel at very competitive prices. We strive to make quality bags that appeal to the military and law enforcement as well as to outdoor enthusiasts and shooting communities. Hillman is a brand dedicated the production of high-end hunting clothing and accessories. Creativity, implementation of the latest technology and core innovation are our cornerstone to delivering the only one-of-a-kind hunting gear without analog on the market. HMount Ltd. is an Israel-based company that provides innovative solutions for helmet accessory mounting. HMount’s first commercial product is a uniquely designed and patent-pending mounting system for military helmets. IdealBlasting.com offers a range of products for law enforcement/EOD/bomb squads. Make sure to check out our website and browse the current products for unbeatable prices. DJI drones, tactical equipment, tool kits, remote firing devices, hand tools, hook and line kits, and lots more to help keep you safe while protecting others. INDEX Group dedicates its deep engineering resources to developing solutions to produce superior precision parts faster. Multi-tasking machines, Swiss turning machines, production turning machines and multi-spindle CNC machines provide customer-specific solutions based on our applications engineering. Coupled with part handling automation, the INDEX TRAUB machines provide a high-quality, long-term answer to the challenges of complex precision parts making. In each case, the objective is to allow users to produce complex parts in a single setup. We are a distributor of Kydex thermoplastics along with high-quality fastening and attachment hardware for gun holsters and knife sheaths. J&J Products is a manufacturer of plastic ammunition cases. The cartridge case we make is rugged, built to last and has a lifetime guarantee. We also mold custom plastic products. Jamestown Plastics is a plastic thermoformer that has been in business for 60 years. About three years ago, Jamestown Plastics patented a new style of clamshell called the Click it Clam, which allows the clamshell to be easily opened and closed, thus making it a reusable case while still being durable enough for retail use. Click it Clam has expanded into an ammunition line, allowing rounds to be displayed securely on the shelves, providing shooters with a case to store their ammunition that also holds up to the elements, and thus increasing brand loyalty among customers. We are a premium manufacturer of firearms and firearm parts. We do not outsource components that are essential to the quality of a firearm build. Kore Essentials makes the best fitting, most comfortable EDC gun belts you’ll ever wear. How do we do it? No belt holes. Instead, our concealed carry belts use a hidden track sewn into the back of the belt that features over 40+ sizing points. 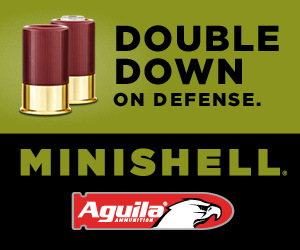 Now you can adjust ¼” at a time for a precise, secure fit and faster draw. We offer both top-grain leather and tactical (nylon web) versions that include a reinforced poly-core center for added support and durability. 30-day money-back guarantee and 1-year warranty with patented technology. Interchangeable with our other gun belts and buckles. Longfri is a leading manufacturer and distributor of high-quality ballistic armor systems. We product a wide range of military and police safety protection supplies, including NIJ-certified armor plates, bulletproof vests, ballistic helmets and ballistic shields. We strive to build long-term business relationships with our valued customers by providing quality products and unparalleled customer service. We look forward to serving your protective needs! At MAM Filmam Lda., we have been manufacturing pocket knives, tableware, cutlery, kitchen gadgets, etc., since 1870. For more information, please visit our website or contact us at mam@filmam.com. MAM — made in Portugal since 1870. Our company creates rugged jewelry made from real bullets, as well as personalized laser-cut Christmas tree ornaments, including our famous “Merry 2nd Amendment Christmas” ornament. Do you chafe? Do you get blisters? Do you sweat? Medi-Dyne’s brand of 2Toms products has the blister, chafing, sweat and odor prevention you need. All-day protection in one application — 100% guaranteed. Made in the U.S.
MKU manufactures lightweight armor solutions for personnel as well as platforms and night vision devices. It is trusted by more than 230 forces in over 100 countries and has protected more than 2 million soldiers and 200 platforms to date. The MUZLSTIK is a new, patented visual safety indicator for firearms to remind you and keep others safe. The chamber flag is a revolution — it fits in any firearm with a fully loaded mag but is virtually impossible to discharge until removed. Founded in 1995, Newbold Targets is a family owned and operated business responsible for the sales and manufacturing of all Newbold Target products. It's focus is to design self-sealing targets which are safer than steel, lightweight and reactive. Highest-quality universal digiscoping adapter on the market. Any phone in any case on any round eyepiece. Can be readjusted for a different phone in five seconds. Ideal for guides and professionals looking for lifetime construction. 100% built in the U.S.
Nuvair has been manufacturing high-pressure compressors and filling stations for air rifles, airsoft and paintball for more than 30 years. Based in Chicago and California, Palm Coolers is a manufacturer of heavy-duty, rotationally molded coolers and other outdoor lifestyle products. Peglock is a mount-anywhere firearm and accessorty organizer system that can be customized to fit any firearm, magazine or accessory. Peglock is commonly mounted in vehicles, behind doors, in closets or anywhere you want to keep your firearm and shooting gear organized, safe secure and easily accessible. Portable Winch Co. offers portable tools for lifting and pulling loads. All our products are designed to perform complex or strenuous tasks in a simple manner. Our wide product range is used around the world in diverse applications such as forestry, hunting, construction, telecommunication and infrastructure. We became the world leader by designing winches that incorporate exclusive features and technology to enable great autonomy while being inherently safe. Therefore, they are portable, compact, simple and easy to use. Made in the U.S. and deployed worldwide, the Rapid Access Tool (RAT) system is used to breach armored vehicles in about a minute. The RAT is designed for operations in high-threat environments when time on target must be minimized. Available on GSA. The Requirements Group (TRG) Inc. The Requirements Group has always been a reliable source for OEM manufacturing. Our quick turnaround time helps you market and accessorize your brand. Whatever your needs are, we will work with you to offer your customers the value and quality they expect. A three-in-one system, the RōM Pack is a backpack with more than 3,000 cubic inches of carrying space. You can fully transform it into either a wearable poncho with a hood or a blanket that’s soft on one side and water resistant on the other. A fabrication job shop specializing in sheet metal and plate CNC laser, punch, press brake, weld and powder coating. We sell shooting targets and shooting range accessories online and through Amazon. We are interested in dealers to carry our products. 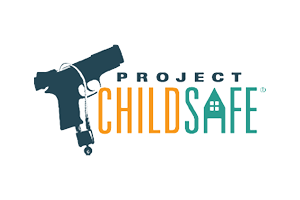 Our armed forces, police and fire departments, and fellow citizens depend on equipment to defend, protect and ensure that the liberties we hold sacred are never infringed upon. They spend countless hours preparing to defend us from whatever harm that may come our way. We manufacture all kinds of military uniform accessories: handmade embroidered badges, cordons, shoulder ranks, officers’ caps, berets and ceremonial uniform accessories. Founded in 1980, Scosche Industries is an award-winning innovator of consumer technology and car audio products that is committed to delivering superior product quality and functionality, exceptional value, and unmatched customer service. The designers and engineers at Scosche develop products that reflect a rich heritage in audio and mobile technologies. Scosche finds inspiration in the California lifestyle, culture, music and people. This influence can be seen in the accessories and products that are now in the hands, homes, offices and vehicles of people in more than 50 countries. Our company is a small startup business. We “reinvented the wheel” by manufacturing modular, quickly detachable, packable, portable rifle rests for bench and field applications. They are the alternative to heavy iron frame or plastic shell rifle rests. An ancient accessory innovated and redesigned, SlideBelts are made with a patented ratchet design for the perfect fit every time. We offer a diverse product line for men and women, including canvas, premium full-grain leathers and the Survival Belt. Steambow is the manufacturer of an air powered, self-cocking and foldable recurve crossbow. We convert crossbows with our patented rapid cocking system. Accuracy, firepower and ergonomics stay the same, just with fast, silent and effortless cocking. Strapworks is an American manufacturer of straps. We make virtually anything having to do with webbing and buckles. Stock products include slings, tactical/tool/law enforcement belts, and suspect/prisoner restraints. We specialize in making custom products to your specs. The High Ground of Texas is a regional marketing coalition representing the 67 northern counties in west Texas. We make the number-one outdoor hat for sun protection, durability and longevity. Hunters everywhere love our hats. We manufacture a line of lightweight, flexible and removable ballistic inserts that provide a level of personal protection from threats. They are similar to what law enforcement officers wear daily. When inserted into backpacks or computer bags our ballistic shields provide the highest level of protection currently available as lightweight concealable body armor. TuffyPacks Ballistic Shields are built to meet Level IIIA threat requirements. They are available in three sizes, airport friendly and ultra thin. Private label, custom sizes, OEM and dealer inquiries welcome. Retail packaged or bulk orders. Tuffy Security Products safeguard valuable gear with American-made craftsmanship. The full line of Tuffy Security storage solutions provides premium, superior protection against theft, enable safe cargo management and increase gear accessibility. Entrust offers a range of solutions for firearms manufacturers looking for superior accuracy in rifle barrels, as well as improved production and repeatability in barrel manufacturing. Entrust makes barrels and gundrilling, reaming and rifling machines. ULS is the leading global manufacturer of CO2 and fiber lasers to engrave, mark or cut hundreds of materials in the firearms and accessories industry. We customize gun stocks, leather goods, eyewear and apparel, and we engrave serial numbers, bar codes and other IDs. UOvision wireless cameras are motion and heat triggered for use in hunting, wildlife watching and security. Instant photo and video transfer is backed up by the Cloud, and a free mobile app provides a rewarding one-stop online management solution. Valmont/George Industries, Inc. is a large metal finishing company specializing in anodizing, powder coating, chem filming and other associated finishes. We offer bright dip and etch chemical pre-treatments as well as 15 colors. Great quality and service. The pursuit of innovation runs deep. Vaultek is on a mission to build the ultimate smart safe — not only in craftsmanship and build quality, but with innovative products packed with cutting-edge technologies. This is defense on lock. Veto Pro Pac is the leading premium brand of tool bags and is expanding into outdoor products, including range bags, in 2018. The company also offers a new line of TrueTimber Camo bags, including the company’s award-winning backpack. Vipersharp is a professional precision knife-sharpening system that takes all the guess work out of sharpening a knife correctly every time. WeatherHawk offers a full range of hand-held wind meters for both the enthusiast and the field professional. The wind meter family consists of the Wind Mate and Sky Mate wind meters and offers a variety of features to choose from. The Wind Mate and Sky Mate are portable, hand-held instruments that allow you to measure your weather conditions wherever you are. Useful for a variety of outdoor activities, these products feature a jackknife case and two-year warranty. Choose from seven models of varying capability and price. We sell value-priced, high-lumen flashlights, headlamps, lanterns and work lights, including lighting with rechargeable lithium ion batteries with charging ports. We also sell value-priced pocket knives, multi-function tools and knife sharpeners. Our portable wood pellet pizza oven reaches temperatures over 900 degrees Fahrenheit and cooks pizzas in less than two minutes. You can also cook steak, fish, seafood, vegetables and more using our cast iron sizzler pan. Complete kit. Dealers wanted. XCaliber started in 2010 and manufactures a full line of silencers, including the only multi-gauge shotgun silencer. We also offer a full line of thread adapters. We are a manufacturer of professional soft bags with our own cut and sew facilities in both China and Myanmar. We have been making high-quality, professional, tactical gun cases and sports bags for over 16 years. We do 100% OEM only. Bags are made in Myanmar. Import duty is free.